I got good scores on the college entrance exam in the first year, but I was rejected due to the results of my physical examination. I tested very poorly the next year, but for some strange reason I was accepted into a coveted position at the oil painting department of Sichuan Institute for Fine Arts. In my first year as a student, it was the standard training, plasters and sketches day after day with no variation. Everyone worked very hard then, and outside of class, our spare time was full of all kinds of self-study plans. At night students usually took turns sketching portraits of each other’s heads, and all day Sundays painting figures. Many of the people around me would soon become famous as the core of the “Sichuan School,” and a few of them would become big players in Chinese art history. Those were the glory days of the Sichuan Institute. Ten years of the Cultural Revolution and wounded hearts made the sentiments in these critical realist paintings quite moving. “Learning” was what we worked the hardest at, and we couldn’t go a day without painting once each morning and night. I remember that Zhang Xiaogang and Zhou Chunya often linked up with me to paint landscapes, and we were always jealous of Chunya’s mastery of colors. There were virtually no art books in the school library back then. To see the only copy of World Art Anthology required an application by a teacher to take the entire class to look together, only after everyone washed their hands. Later on, the school locked the anthology in a display case, turning one page each day. I would go there happily with Zhang Xiaogang, chalk in hand, to devotedly imitate the shading and composition of each famous work. In the summer of 1980 I traveled with Zhang Xiaogang and Mao Xuhui down the Yangtze River, passing through Wuhan, Suzhou, Hangzhou, Shanghai and Beijing, finishing in Kunming. Along the way I met many people I admired: Chen Yifei was very smooth and high spirited, and told us he was about to move to America and start his new life; the already sluggish Mr. Yan Wenliang sat in a darkened room and looked youthful as he showed us the vegetables he’d recently painted with an insect on top, even asking us to sign his notebook; the pale-faced Yuan Yunsheng had long hair draped over his shoulders, and told us that the quietude of night was the best time to paint, and we feasted our eyes on the hundred paintings he pulled out from his bed. The young Chen Danqing went to Tibet. When Sun Jingpo showed us his work, Norman Bethune, which had been selected for an exhibition, I felt that he was a large figure lacking in confidence; the crippled Ma Desheng aired strong views and was good at getting a rise out of people; the twelve inch black and white television at Jiang Tiefeng’s house was showing Wang Keping playing the part of the young monk in the Eighth Division army. The figures and tides of change in that period gave me stimulation and inspiration that the school could not. That was an era of seeking and an era of reading. Artists who could reach a peak in artistic vitality and creativity in that historical setting were truly blessed, because at that time any fresh ideas or pursuits were meaningful, all able to easily gain pure enthusiasm and response. Today’s artists wrack their brains and use all means artistic and otherwise to try and tap into the appetite of the masses, but aside from the selling price of an artwork, who cares what those artists are doing in their studios? What do they want to say in their exhibitions? What happened to those admirers who cried in the face of Father or argued until red in the face at the Stars Exhibition? Are they in front of the television, or are they in private rooms at the karaoke? Even the automatic doors installed in front of famous artists’ works at today’s museums are nothing but the products of blind reverence for broadcast media and consumer culture. That year my eyes were opened by the writings of Western modernists, People, Years, Life; Romain Rolland; Birth of Tragedy; Dear Theo; Concise History of Modern Art… the paintings of Modigliani, Soutine, Picasso, Vlaminck, Utrillo, Van Gogh, Munch, Gauguin, Malevich, Rivera, Klee, the silent bitterness of Song dynasty painting, the warm and lively demeanor of folk art and the coarse and sharp bearing of the ancient ancestor Chen Xiong all seemed to flash in my eyes like so many lights, influencing me, moving me, but also driving me to distraction. I thought that I was at the start of a path to the pinnacle, but everything I had experienced to this point was just coincidence. My instinct-driven life still lacked a profound and definitive core. The outer reaches I longed for were not a grasp or understanding of a certain technique, nor were they the temporary glow of acclaim; at this time I was still in a process of experiencing and searching for my own feeling. It felt to me like the process or desire for experience, such as natural changes in society, the passage of time, or the myriad of human problems coming from vehemence towards life, death, sickness and aging. Basically I cared about these issues and this set me apart at the beginning from the nationally acclaimed Scar and Rustic schools of the Sichuan Academy. China’s opening to the outside world after my second year in college brought more fresh stuff; from Chuang Tzu and the Book of Changes to Sartre, Nietzsche, Freud and Bergson, campus songs from Taiwan and country music from America, Mary Carpenter to Deng Lijun, disco and the three-step, Rimbaud, TS Elliot, Herman Hesse, Marcus, Dali and Miró, Duchamp and Weiss, pop and Dada, minimalism and super-realism, conceptualism and neo-expressionism – all of the imports and transplants had all been stripped of their time and place, historical background and order of appearance, rushing in unison towards the minds of China’s intellectuals, and whether they were heritage or mutually contradictory concepts and ideas, they were all accepted as new. Like the hungry ghost in Jack London’s Love of Life, all of us in this era of reform were rushing to upgrade our concepts and keep in step with the change of history, eating despite indigestion, making us all nondescript. One day I would immerse myself in medieval devotional paintings, the serenity of Bondone, and Bach’s Brandenburg Concertos, and the next I would gasp at Delacroix’s enthusiasm, the magnificence of the Roman fountains, or the elegance and refinement of Ingres, the aloofness of Morandi, Magritte’s superstition or Kelley’s wisdom and Redon’s poetic qualities or Munch’s melancholy. In those days I really didn’t have the time to string everything together, and it was a long time later that I started to think about the fact that Klee, Kandinsky and even Pollock were dead by the time I was born. On the day the door to my childhood home stopped a bullet during the Cultural Revolution, Sartre may have been handing out flyers on the streets of Paris; by the time I had learned to write “art for art’s sake” in my journal like the other kids, Boyce’s seeds were bearing fruit in Kassel, and emphasizing yet again that “man is sculpted by society.” Sometimes I think that many things in this world don’t change the way we intend; the subjective differences and disagreements between us on this shared world are inborn. We tiresomely crawl among the history books, trying to find in them a satisfying answer, but none of these things opened my mind or allowed me to see clearly. How much time and effort has our generation wasted on artistic misreadings and prostrations to the printed graveyards of art? To this day, I still feel a strong nostalgia for those days that were later derided for their “imitation” and “wholesale transplantation.” It was the reluctance and loss in the face of this philosophical and cultural feast that allowed me to hear the exhortations of history to understand and correct my narrow-mindedness and prejudice. In March 1984, Fu Liya withdrew her last 100 Yuan and we used another 500 Yuan from her parents to buy a tape recorder. My parents hired someone to make us a set of cabinets and a bed, and my sisters gave us linens. We used envelopes to wrap about ten bags of candies and gourds to give to our classmates, and my friends passed around a hat to buy pots and bowls – Fu Liya and I had become a family. We had been to Xishuangbanna, and I made a large batch of sketches and paintings, Sounds of Spring, Distant Thunder, Silently Watching under the Tree, Poet Walking, Palm Tree and other stuff from that period, in a Thai bamboo hut, after a long time of staring, a grey like dusk shading my perplexity, with the natural tropical plants and scenery as a carrier, they surpassed the meaning of environment. Firstly, they were symbols of a life inhibited; secondly, they were symbols of a healthy instinct in a coarse personality of one with a life full of hardship. These two aspects combined my ridiculously social ideals of the time. In this year my work showed continuous progress, but it was also very difficult and lonely. The strong struggle and pressure within me forced me to work constantly. Man was my most fundamental theme, accompanied by some animals and trees, the environment, and all betrayed their emotions or contained some story, and the expressions were always sentimental, frightened, melancholy and disturbed. From Chongqing to Yunnan, from industrial environment to country scenery, see-sawing between reality and dreams, there was an idea that left me increasingly guilty and unsettled, that I still hadn’t painted anything related toChongqing, those factories and smokestacks. The desire to paint something that touched upon my love-hate contradiction left me embarrassed. I looked down on the things I had already done, and I even lost respect for the works of the people around me. I went to Beijingthe next year, and stayed there for a whole winter with blizzards blowing outside the window. In that stinky interior, roasted by the heater, I painted a batch of works with factories, pipes and plants intertwined. The shepherd’s song had been replaced by a fragmented and melancholy surrealist vision. This was during the famous tempest of the ’85 New Wave in art, when the chasers of surrealist masters such as Dali and Chirico blazed brightly on that page of Chinese art history. Here’s where I differed from those who pondered philosophical ideas and culturally critical rationalizations: I made a natural transition from purely personal experience and perception to the realm of surrealism. I liked the weak spirit entranced by cultural tempests as the theme of expression: acting too much because of too much thought, experiencing too much because I read too much, imbalanced character, fragmented spirit, lost, dispirited or pacing back and forth. Two People Leaving and Staying on the Last Prairie, She who is Being Peeped at by the Horse and We who are Being Peeped at By Her, The Last Garden, Hidden Man and Bird Hearing the Call of Picasso, and Hibernator Awakening in Spring were works from this period. In the fantastical country scenery, the drab and depressing real life, false cultural apparitions and the turbulent fog of ideas, it was painting that allowed me to release them and open a new realm for myself. All that was unmoving and unchanging began to tremble. It was not just the stars, moon, forests and flowers that everyone eulogized, even a group of smokestacks at the power plant, a newspaper blown into the street corner, an unwitting piece of bark dragged out of the grass by ants, a rusty, stopped clock… all of everything began to reveal its face to me, its internal life, these silent souls. Often there was sound in silence; whether they were moving or stationary, all lines and points were just as lively to me, and this is what led me to allocate all of the senses of my life to experiencing all of the possibilities of art and its life. I was naturally expressing my own dream realm on the canvas, and painting suffering as humor, humor as expressiveness, like a fish, lingering in my own illusions. At that point, for me, painting was virtually a chimera of man, plant, animal and factory. 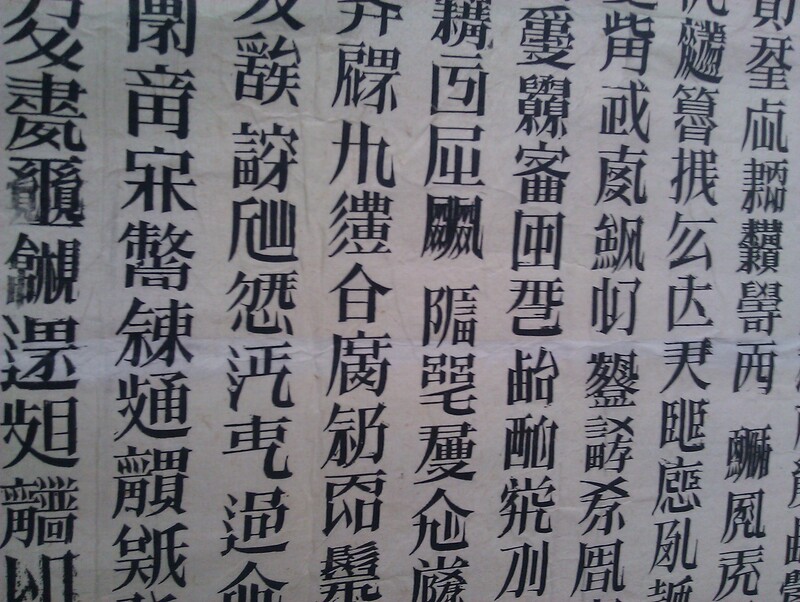 That winter, I often went to the National Art Museum to see one exhibition after another. Rauschenberg’s grand exhibition shocked me like never before. Though it was different from the awe inspiring reverence for personal details like all of those classical and modernist exhibitions I had seen like the Han Mo Collection Exhibition, 250 Years of France, German Expressionism, the solo exhibitions Zhao Wuji and Goya, with their respectable detail, still it was the first time I strongly felt the power of contemporary art to directly cut into the life around me. This differed markedly from the art for art’s sake artistic education I had received for years. This gave more fodder to my suspicions about the meaning of “pure art.” The Southwest Art Group that I formed with my friends in 1986 brought me more directly into the tide of “new wave art.” We would talk through the night about all kinds of manifestoes and concepts, planning exhibitions in Kunming, Shanghai, Chongqing and Beijing, writing articles in all kinds of periodicals, and explaining ourselves to others with the same fervor as “neo figurativists” – that was definitely a charged era. Those people who had received their cultural baptism in the early eighties, such as myself, can never forget that heated scene. Though there were many exaggerations extant in the culture of the time, inflated egos and falsehoods. It was truly an era with cultural aspirations. 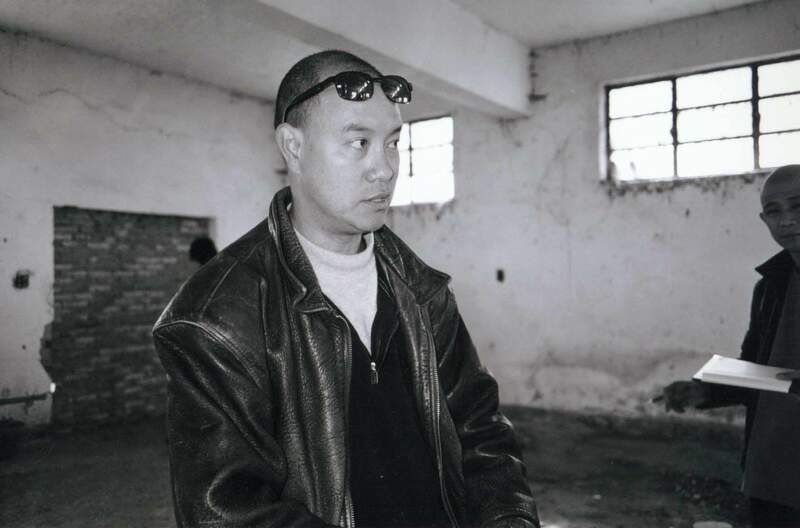 Mao Xuhui always had his brow furrowed, that little room in Heping Village full of his works such as His Red Bulk, his works always making one feel inhibited and uncomfortable. On the other hand, that man wrote beautifully. Pan Dehai was always stammering out new and shocking vocabulary. Aside from painting images like Mixed Up, Mixed Up, he was also squeezing out droves of pitch black freakish things in clay. Zhang Xiaogang was always sensitive and irresolute; when he was hospitalized with an intestinal illness, he painted some painful and convulsive paintings, which became the White Ghost series, but when he moved to Peach Blossom Mountain, all of a sudden it was flowery songs like Collected Dreams… Today those exuberant youths have all become amazing painters. At that time, I was in the hospital writing Description of Natural Consciousness and Beasts of the Forest as I awaited the birth of my daughter. When the exhibition began at the provincial library, my friends covered my invitation with congratulatory notes on the birth of my daughter… Like many intellectuals at the time, we were full of realistic humanist idealism, and though many of my peers don’t necessarily espouse those views anymore, emotionally there is still a deep nostalgia for it. The 1989China/ Avant-Garde Exhibtion in Beijing marked the end of the eighties. The first floor of the museum was full of unorthodox experiments and claptrap media farces, making me feel utterly spent. Xiao Lu’s gunfire pulled the color right out of my second-floor classical modernist work. And that ever-changing era didn’t quite herald a cultural renaissance. To the contrary, it spent up the last of the new wave’s revolutionary passion and innovative imagination – When I engaged in an attack on the cultural state of affairs of the late eighties and early nineties, I not only fell into a contradictory predicament, I fell deeply, almost sadly angry. The mainstream intellectual culture of the eighties was like a giant stage for the people my age. We excitedly admired and sometimes participated, and in the end we waited expectantly for this myth to go bankrupt. The disintegration of the grand cultural critique in the late eighties actually provided a battleground for our generation and those afterward to charge anew into cultural enemy lines. Then, the cultural disintegration was so quick and complete – history did not provide a space in a timely fashion, and there really was no such space to begin with. As we criticize the myth of the eighties, we have no choice but to reminisce about that cultural form – culture’s methods of historical opportunism and historical practice. What the disappointing demise of the eighties left behind was not just a pile of problems, but also a form of memory. In late 1989, I was in Chongqing with Wang Lin and Wang Yin heatedly discussing the topic of denial of “ideals” and “concepts.” InBeijingI lived in Li Xianting’s living room, which had once been a hotbed for the wave, which was by now so silent as to feel empty and lonely. I spent day after day smoking cigarettes dejectedly with old Li, listening to the pigeon whistles resonating outside. At night I would pass the time drinking with Fang Lijun and Liu Wei. At the time, I was tired and breathless from all the “ideals” and “concepts,” and longed for a state of relaxation and freedom, even seeing the future of culture in Wang Shuo and the art market. When I stood on the 1990’s historical boundary, watching the historical scene of cultural decomposition, I once again felt the terror of having nowhere to land. Truly I must admit that I never cast off the influence of the eighties, and I still held goals for culture. Though we constantly discussed “post 89 art” and “postmodernism,” I quickly fell to despair. I knew that there was no place for intellectuals in “post 89 art.” At that moment when the spirit suddenly went into shock, I continued to play with my brush and ink, trying out acrylic and mixed media. I who had a degree in oil painting always harbored an ink complex, and though I had recently made some works in oil paint, earning praise from critics and friends, I knew that it was just out of kindness and caring (I thank them from the bottom of my heart). When I saw a lot of my friends’ oil paintings at different scenes, galleries and studios, I felt that they were naturals, but I wasn’t. Oil painting and oil color never had that natural feeling that ink and water had for me. In the recent decade or so of precarious trends in China, I have been a witness, a bystander and a hapless participant. I once wrote, “you cannot escape the theme of your life.” Though yesterday has already disappeared, and the culture of the past has passed, the inner experience comes from the days before, and still moves about inside me. If it weren’t for yesterday, people’s thoughts and emotions would be blank. My spirit today cannot discard the past and grow the way I want it, so yesterday still exists, it exists in our perceptions, a stack of countless yesterdays, causing not only my outward appearance but also my spiritual world to remake itself. To me, art is not a weapon in the struggle for worldly gain, nor is it a fortuitous illusion – this is a world created by a special construction of innocence and wisdom that I fully understand. When I say “innocently,” I don’t mean naïve, mediocre or artificially coarse; I see innocence as a novel perceptive ability, an insight and an internal power. The existence of mediocrity everywhere in life is the true cradle of art. Truly moving humanity can be said to be brightest where people move against the crowd. It faithfully gathers the inner perceptions of people in a world of change. This always exists in the pursuit of the unknown and the desire to take joy in surprises.